An Eaton supercharger, 6.2-litre V8 driving the rear wheels, nearly 600bhp and a soundtrack guaranteed to make your hairs stand on end: welcome Vauxhall’s new VXR8 GTS, which can be ordered from today with first deliveries at the end of the year. 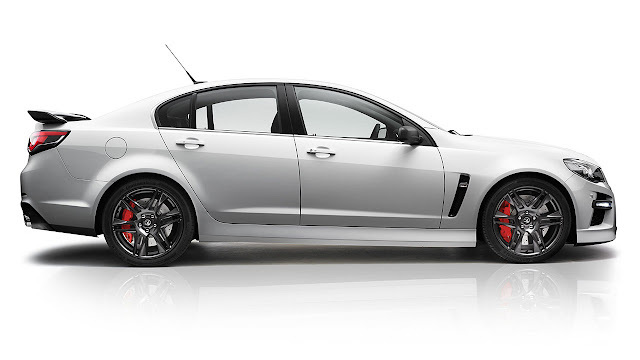 Based on sister company HSV’s new GEN-F GTS, the VXR8 GTS is the most powerful production car ever to emerge from Australia. And with an on the road price of just £54,999 in the UK it allows owners the least expensive membership into the 500bhp+ club. Delivering drive to the rear axle is the latest MG9 spec 6-speed manual transmission with oil cooler and twin-plate clutch (an optional 6-speed automatic transmission is also available). The new front-end design of the VXR8 GTS has bold graphics and shallow ramp angles that emphasise width and stance. The focal point of the new look is a ‘twin-nostril’ grille and an all-new fascia that helps to deliver both an aggressive look and an air intake surface large enough to cool the LSA V8. In fact, a total of 130,000 square millimetres of open frontal surface was needed to deliver the cooling required for the new engine – 75 per cent more than the outgoing LS3-engined car. Daytime running lights – which can now operate when the headlights are turned on – and 20-inch ‘Blade’ forged alloy wheels complete the front-end design. 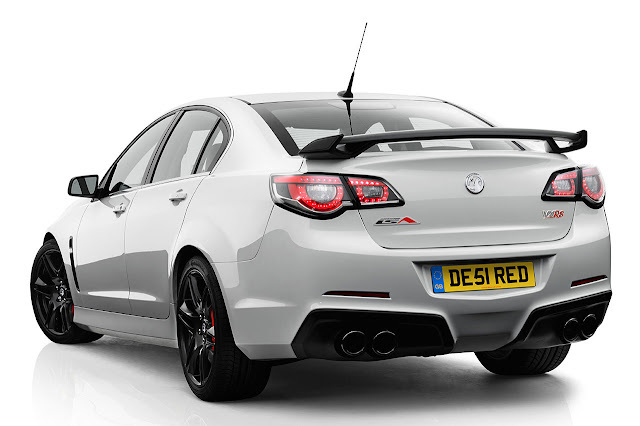 At the rear, the VXR8 GTS has distinctive LED tail lamps, while the ‘diffuser’ rear fascia houses quad exhaust outlets finished in shadow chrome. 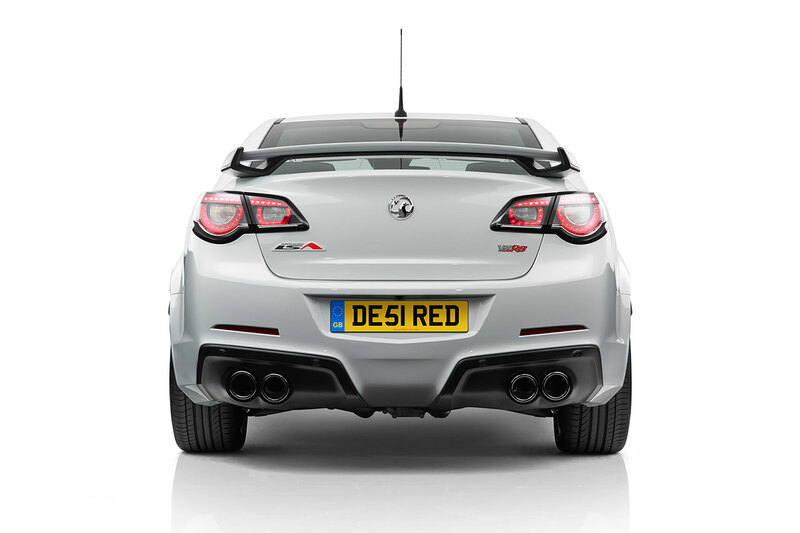 A unique body-coloured performance rear spoiler with black accents helps set the GTS apart still further. Inside, the VXR8’s cabin design has undergone a raft of design changes. An upgraded instrument panel with suede-style inserts, a new instrument cluster, gauges, centre console, appliques and door trims combine to deliver a more premium look and feel. Standard in the VXR8 GTS, all-new VXR Performance Seats are wrapped in Onyx leather trim and feature 8-way electric adjustment and seat heaters for both the driver and front passenger. To cater for the extra performance offered by the LSA engine, the VXR8 GTS is fitted with an all-new Brake Torque Vectoring technology. Brake Torque Vectoring helps reduce understeer by generating a ‘rotational moment’ in the rear axle while the car is under power. The Electronic Stability Control (ESC) system detects the understeer, applies braking to the inside rear wheel and transfers torque to the outside rear wheel, preventing the front end from washing wide. The VXR8 GTS also receives third-generation Magnetic Ride Control (MRC) with three independent settings: Touring, Sport and Track. Hardware and software improvements combine to deliver greater body control, sharper handling and a significantly more pliant ride quality, compared with the outgoing model. Wider tyres also offer drivers more grip. Continental 255/35 R20 (front) and 275/35 R20 (rear) were chosen as standard equipment, due to their exceptional performance in both wet and dry conditions. To assist drivers in manipulating the various electronic vehicle performance systems, a new Driver Preference Dial has been developed. Located behind the gear lever, the Driver Preference Dial adjusts settings to one of four modes: Touring, Sport, Performance and Track. The vehicle’s ESC, Traction Control, Launch Control (manual transmission only), and Bi-Modal Exhaust, as well as its Brake Torque Vectoring and new Electronic Power Steering, are then adjusted accordingly. The VXR8 GTS’s braking capacity has been dramatically increased with the fitment of AP forged 6-piston calipers with two-piece discs front and rear. Combined with the increased disc diameters, the calipers – forged from 6061 T6 aluminium – offer a vastly improved strength-to-weight ratio and deliver noticeable improvements in brake modulation and feel. The rear brake pad size has also been increased by 12 per cent. ‘With our new forged calipers, larger rotors and increased pad size, we’re confident that the GTS brake package is the equal of anything in the world,’ said HSV’s Chief Engineer, Joel Stoddart. The VXR8 has now come of age, and features an array of technologies never seen before in this model. In addition to the Side Blind Zone Alert with Reverse Traffic Alert, Automatic Park Assist, Front and Rear Park Assist, Reversing Camera and Passive Entry/Push Button Start, the GTS also picks up a number of additional driver convenience and safety technologies. Head Up Display is standard and shows a raft of driver information on the windscreen, such as vehicle speed, engine temperature, and even G-forces! Forward Collision Alert is another technology fitted standard to the GTS, and is the first system of its kind to be available in a Vauxhall product. A camera, located above the rear-view mirror scans the road ahead up to 14 times per second. When a crash is predicted, the driver is alerted with an audible tone and a visible alert on the car’s HUD. Anticipating hard braking, the system applies sufficient brake pressure to close the space between the brake pads and discs, thus delivering a quicker brake response time. 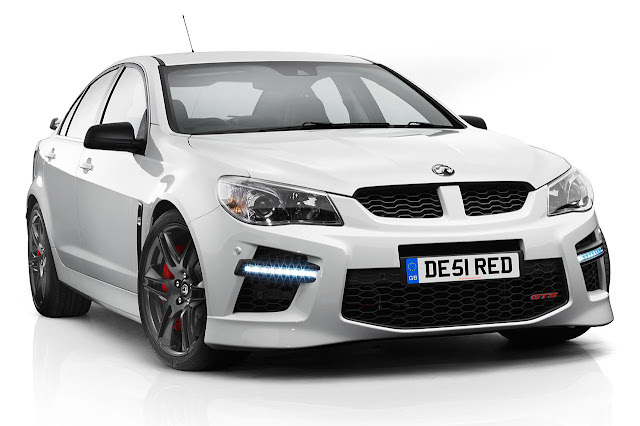 Using the same camera technology, the VXR8 GTS also has Lane Departure Warning. Designed to combat driver fatigue, a warning indicator and audible sound alerts the driver to any unintentional lane departures.